My grandfather was a nautical electrician for almost 50 years and Norway was one of the places where he couldn't fault the beer. So when these rather expensive Norweigan beers found their way across my bar, I thought I should probably invite Pa over to try one. The brewery's name translates literally as "The Naked Island", which is supposed to emphasize the purity of the beer, apparently. The brewery was only founded in 2002 so this was a beer my grandfather hadn't come across in his travels. The brewery has won many awards, and this being one of my preferred styles of beer I had high expectations. 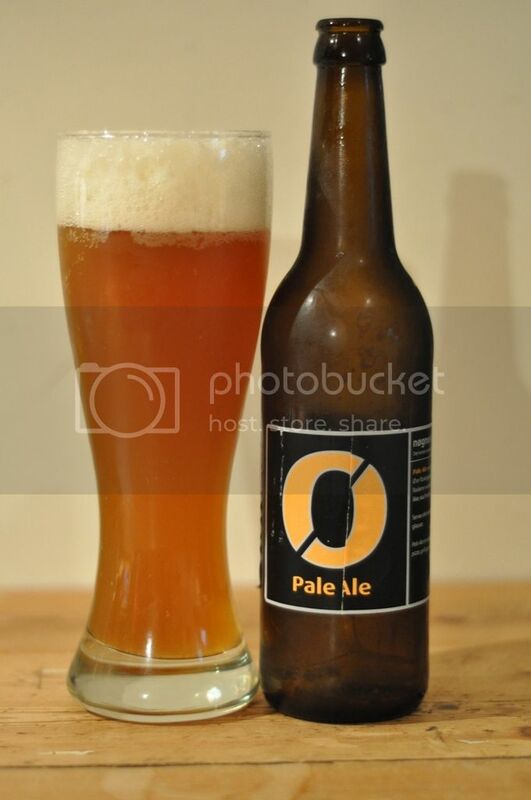 This beer pours beautifully, a copper-orange colour with a big white head, which seems quite thick. The beer seems very cloudy, not unheard of for an American Pale Ale but not common either. Good top level carbonation, but not alot that appears to be rising. I like a Pale Ale to be a little more golden, but this is still an excellent looking beer. An amazingly aromatic beer! A trait in most Pale Ale's is quite a strong nose, but this beer takes that trait to the next level. It smells like a beautifully hopped ale, the malts are well toasted and the citrus is very pronounced. I can smell lime juice almost instantly but the pine notes carry through into a strong caramelly malt. This is a very hard nose to describe, if any of you have had Sierra Nevada Pale Ale it is not disimilar but about 10 times as intense. As Pale Ale's go this is a very intense beer. Right from the first sip it is a very juicy fruity beer. The overwhelming flavours are of lime and I believe grapefruit. The malts in this beer are quite complex and they begin to emerge in the form of a sweet caramel flavour, with the grapefruit still flowing through the palate. There is a cinnamon like spiceness that permiates the beer as it heats up. The finish has a very dry wood feel, which is slightly bitter, the very soft carbonation of this beer definitely helps with it's drinkability. Now this is a very big call but I think this is one of the best ale's that I have ever had! The beer looks great, the head lasts for the entirety of the beer, it smells fantastic and the taste is out of this world. I reckon you could knock back quite a few of these, but your wallet wouldn't want you to. This definitely a dinner beer rather than a big session beer. I would suggest you go out of your way to find this beer, as it really is top of the range.